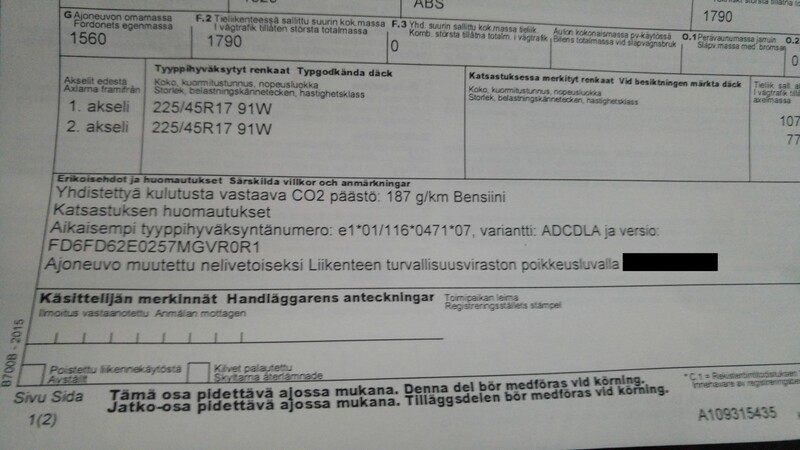 A few words about the inspection and getting the modification fully street legal in Finland. A conversion like this requires a special permission from the officials. 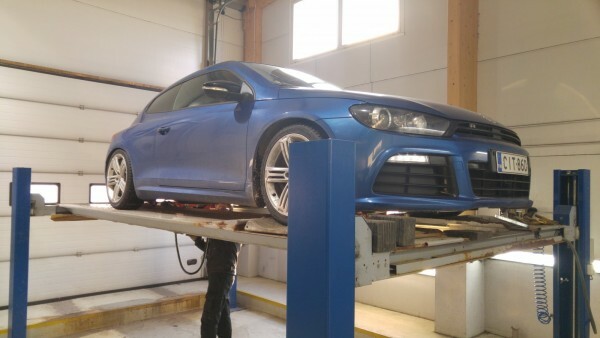 Scirocco was never made AWD so they can’t just approve something like this on a regular annual inspection. We had to get the permit and it meant quite a bit of paperwork. When we did the application we explained everything in detail and how all the body modifications were done according to VW’s instructions (instructions were attached as appendices). We explained all the parts that we used, showed parts lists and images from ETKA and we also had to get documentation from the manufacturer’s representative (importer in Finland) to certify that the brakes are working as they’re supposed to. For the actual inspection it was enough that we took a full scan of the car with VCDS, signed by a local car service. It took about a month for the officials to handle the application. They asked some additional questions once but anyway the whole process was much faster than expected and we were pleasantly surprised how well the authorities were co-operation on a modification like this. At the inspection we also had to identify where all the parts were originated (to prevent usage of e.g. stolen components). At the same time also the H&R coilover suspension was checked and included on the list of modifications. The actual inspection was fast, not much different from a regular annual MOT, but the paperwork took longer, more than an hours. As a final word for this process we have to say that it for sure made it easier to get the approval when we had a complete donor car which was very close to Scirocco from the chassis point of view. It was relatively easy to make the application and show where all the components were coming from. It would have been much more difficult to explain everything if the parts had been source from several different vehicles or even made some parts by ourselves. 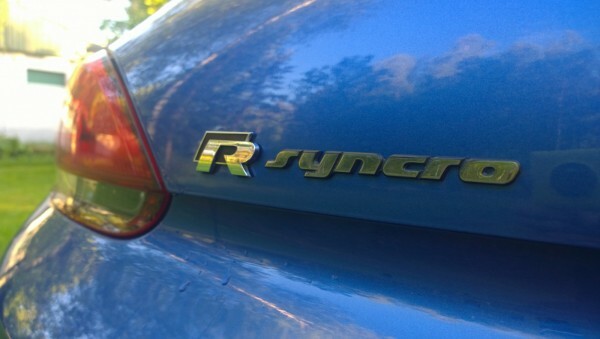 Syncro emblem is from Heikkis’ mk2 Jetta Syncro.